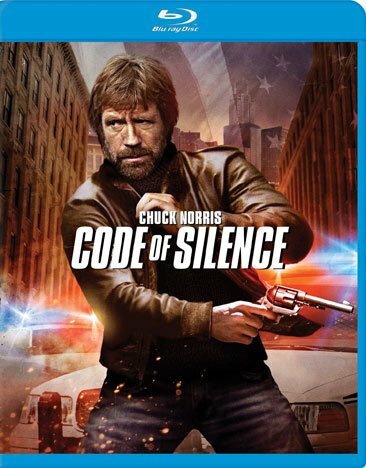 i checked 'code of silence' blu ray on my europe PS4 it's region free! From the director of The Fugitive comes a riveting, turbocharged crime thriller starring international action star Chuck Norris (TV's Walker, Texas Ranger ). Exploding with heart-stopping chases and lethal martial arts confrontations, it's a "daring" (The Washington Post ) and "suspenseful" (Boxoffice) adventure that pits an honest cop against two vicious crime lords - and his own department. Eddie Cusack (Norris) is a Chicago detective who plays by his own rules - a dangerous habit, especially when he breaks the force's "code of silence" to blow the lid off a deadly police cover-up. Now an outcast, he receives little help from his embittered fellow officers when he's hurled into a blistering battle against rival drug kingpins. But Cusack is a one-man army, waging war on the criminals with his razor-sharp wits, lighting-fast karate moves and a special surprise: "Prowler," a remote-controlled, rocket-equipped tank!